Leadership – all at sea. I am interested in the concept of leadership and always have been, what makes a good leader, how can I be a better leader? Interestingly, so is my kayak coach and over the years we have had a great many conversations about leaders and leading which has helped to shape some of my views on the topic. I love sea kayaking and each Sunday morning, whatever the weather or season sees me on the water. Going out to sea can be fraught with danger, the sea is a harsh teacher and if you are not well planned, well prepared and well led she will teach you a lesson that you are unlikely to forget for quite some time. Thus, as sea kayakers we are trained to prepare ourselves for each trip that we make. A pre – trip checklist looks somewhat like this.. It is essential that you tell someone, be it the coastguard or a friend or relative where you are going to and how long you expect it to take you. You should share your aims of the day with others in your group, in this way, everyone in the group knows what the plan is and what to expect from the trip. As the group leader, it is your responsibility to understand the paddling standard of each of the kayakers in your group, some you may know well, but others you will have to talk to before you set off and moreover, you will have to observe them on the water to make sure that what they have said about themselves actually is the case. You should always have a plan B and be prepared to change your plan if required. And last but by no means least, you should be well equipped and have a good understanding of the sea and weather conditions on that day. Once on the water, it is essential that you keep your group of paddlers together. You must be able to communicate easily with each and everyone of them. Shouting instructions at sea does not work as your voice is often lost over the sound of the wind and waves. As a leader, the wellbeing of each paddler is your responsibility, regular 1:1 chats with your fellow kayakers will ensure that everyone has a safe, happy and fun trip. I have been teaching for 15 years and have worked in 4 schools during that time. I have met a great many leaders both middle and senior management some of whom would learn a significant amount from a trip on the sea. Each team leader in a school will have a line manager and it is this person with whom the leader should share the teams’ journey. Where as a team do you want to go? How long will it take you to get there? The goal could be to improve GCSE take up in your subject or improve the the NC levels that your KS3 students gain. In fact, anything but above all, there should be a goal and an idea of how long it will take to achieve it. Now that a goal and a time frame exists, share it with the team members and break down the goal into manageable parts. As with a kayak trip, if your team members don’t know where they are going they literally roam all over the place and then become very hard to control and the goal suddenly becomes lost. 3. Understand the ability of every member of your team. I mean this in the most non threatening way. We all have our strengths and weaknesses and a leader should be aware of those of the team. Regular meetings as a group and with individuals will allow a good leader to understand each member of the team more fully. Obviously, as teachers we should also observe each other, it need not be formal, it should be a supportive experience that builds on strengths. What is more, it shouldn’t just be the leader that does the observing, everyone has a role to play. This is real life and not everything goes to plan. A good leader always has a plan B,C and D and isn’t afraid to use them. Leaders should be up to date with educational thinking, should be experts in their subject should be organized, and approachable. In short, someone that the team looks up to. This, in my humble opinion, is at the heart of good leadership. Communicating easily with team members is vital, forcing an opinion or a method of teaching on someone will only result in it being “lost on the wind” Team members should feel happy and comfortable at work and leaders are ,in no small part, responsible for this. This does not mean that a leader does everything, they also must ensure that the team develops. Most of us enjoy a challenge and staying still in education is simply not possible nor should it be encouraged. I am no expert in leadership but I have seen and worked with some poor leaders in my time as a teacher and it frustrates me immensely. I know many people devote their lives to the study of leadership and it is a vastly more complex matter than my simplistic review above. However, I truly believe that leadership values are a transferable skill so, that which is pertinent at sea is also relevant to education, it’s not rocket science but to be a good leader does require a great deal of thought and empathy. Having read the blogs of many others on the theme of #nurture1213 I have been inspired to blog for the very first time. 2012 was a difficult year for me professionally as our GCSE results had been poor and I had taught the Y11 that year. I was rocked by the reaction of myself and others to this and began to question if I was in the correct job. After much soul searching it became abundantly clear to me that I actually quite like teenagers and am in the privileged position of watching them take their place in the world and of seeing them develop their own views and opinions of life. Teaching also, despite its numerous frustrations, offers me a great creative outlet, which I love! I love my family and without them I would be lost. This year I have seen my 6 year old daughter grown in confidence both at school and socially. My four year old son continues to develop into a little monkey and long may that continue. My lovely hubs is a great source of support and advice for which I am always grateful even if I don’t like what I hear! I am a relative new comer to this sport. I took it up 3 years ago and have loved it ever since. I particularly enjoy the physical and intellectual challenges that it provides. Moreover, Sunday mornings are a real joy as I get the opportunity to go for a paddle with friends and forget about the rigours of the week whilst viewing our beautiful island from a different perspective. We have no family on the island so we rely heavily on our friends. They make island life, which quite frankly can be a challenge in the winter, bearable. They are all fabulous company and without them life would be all the poorer. I had heard about tweechers and I have read many an article in the Guardian and the TES about teachers extolling the virtues of Twitter and so, it was in June of this year that I joined the fabulous #mfltwitterati and began tweeting. As I said in point 1 I had lost my teaching mojo and twitter helped me to regain it. I have “met” some amazing people and they have all helped me to become a more focused and creative teacher. Tweechers, I salute you! This summer our family went on a 4-week camping trip to Denmark. We met up with a Danish friend of mine who I hadn’t seen for 30 years. I am pleased to report that it was as if we had never been apart and enjoying a leisurely summer’s evening meal with Anne and her family was the highlight of our trip. If you’ve never been to Denmark you should go. Fab country, fab people, fab holiday! I didn’t go but 2 of my kayaking coaches did. Their plan was to kayak the length of the Aleutian chain. This is no mean feat and can be very dangerous. It’s an isolated place, to say the least, and if you get in to trouble it can take air sea rescue 2 days to get to you. Basically you are on your own! I became slightly obsessed with their trip and would constantly follow their progress on a GPS plotter or via their blog. http://www.horrenousexperiences.com I am pleased to say that, although they didn’t quite make it to Adak, they did get home in one piece having set the record for the furthest distance travelled down the Aleutian chain by kayak. Hubs and I made it to our 10th wedding anniversary. I got diamonds and he got a sea kayak! Oh my what a year! I have watched The Tour since I was a teenager and I cannot remember a one like it. I never thought I’d see a brit win but then along came Bradley Wiggins… chapeau monsieur! I am ashamed to say that I have never been to an educational conference. Hubs goes to the NCSL one every year and comes back so fired up and ready to change the educational world. Now it’s my turn! There is an added bonus that I will get to meet many of the wonderful #mfltwitterati at this event too. 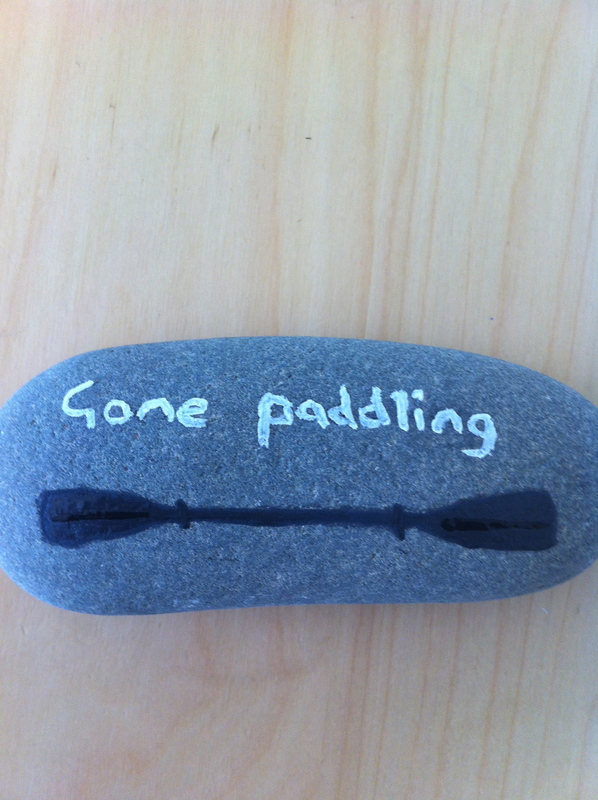 I have rarely kayaked anywhere other than the Isle of Man so I am looking forward to paddling in Anglesey in May 2013. The tidal overfalls and races, around this island should test my sea kayaking skills to the max! I am going to complete my first coaching award next year and I can’t wait. It combines my love of sea kayaking with that of teaching! There is a group of female paddlers in my sea-kayaking club and we have set ourselves the goal of paddling around the Isle of Man over 3 days next July. It’s a tough trip many have tried and failed. It would be a real achievement if we made it! I’m doing the sea swim and the mountain bike race – eek! Hubs and I both turn 40 in 2013 and my Dad will be 70 – time for a party! I have had a love hate relationship with rolling my kayak. For months I could do it but now no more. 2013 will be my year for nailing it! Of taking chances, saying what I think, and standing up for what I believe in. Seb loves books and is desperate to be able to read.